Up until Mission: Impossible III, the franchise was in shambles (the first was dull and the second was ridiculous), while III was far from perfect, it was a step in the right direction. After years of trying to be the American variant of James Bond, Ethan Hunt and the franchise itself has proven with Ghost Protocol that it is not merely a clone of its English counterpart. Moreover, the film makes the viewer forget that the previous incarnations of Ethan Hunt's adventures and I would hard pressed to find a better action film or blockbuster this winter. I love Brad Bird (The Incredibles and The Iron Giant redefined the approach to animated storytelling) and he is a talented gent but I never believed the end product would be this good. Light the fuse. 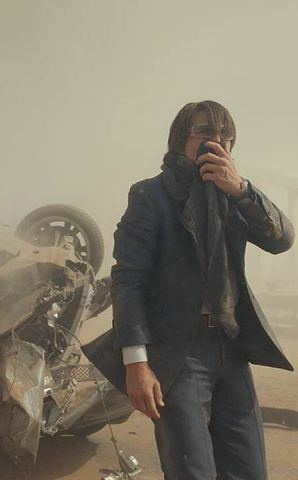 Framed for blowing up the Kremlin, IMF has been disbanded and now, Ethan Hunt (Tom Cruise) and his team (Paula Patton and Simon Pegg) have been branded terrorists since they are suspected of perpetrating the crime. Kurt Hendricks (Michael Nyqvist) aka Cobalt has used the event to steal a nuclear launch device and the codes for Russian missiles for the purpose of starting a global nuclear war. 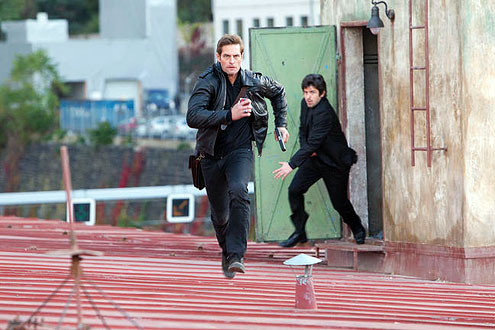 This quest takes Ethan Hunt and the remaining members of the IMF to several international locales in the bid to stop Hendricks from launching a nuclear missile at an American city. Based on what I had read about the film (including Bence's), I was optimistic about the film being good... However, I did not expect to enjoy it this much. 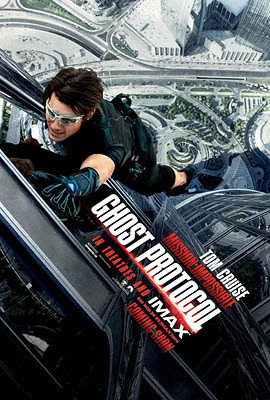 There have been a slew of great international spy films these days (Casino Royale, Bourne Ultimatum to name a few) and some that were less than good (Quantum of Solace) but Ghost Protocol belongs with the better ones from recent memory. The strength of Brad Bird's spy epic is its attempt at balancing reality and the spectacle associated with the genre (futuristic technology, over the top stunts etc). This is in large part because of the script's strength and the relative believability of the plot (Granted, the odds of an armed nuclear conflict being started by a Swedish nuclear strategist is practically nil). Ghost Protocol should be the guide for creating an intelligent action film. While I do not consider the film to be "perfect" as not many are, however, it is still one of the better films that I have seen during 2011 (Trust me, I have seem some crap). It was great to see an expanded role for Simon Pegg, who was one of the great additions to the franchise in the third film. Also, the action sequences were expertly edited by Paul Hirsch (Take some notes, Transformers) and Robert Elswit's cinematography was great (which goes without saying... See his work with Paul Thomas Anderson) especially if one considers the action sequences in this film. I would like to close by stating that those "who refuse to see this film because of Tom Cruise" will be missing out. Have to side with Bence that it was great to see Josh Holloway in the opening sequence. Also, I was overjoyed that Bird chose the Nolan path by balking at shooting in 3D and opting for using the IMAX cameras during production.